Our process is about helping churches think about and leverage their assets differently. 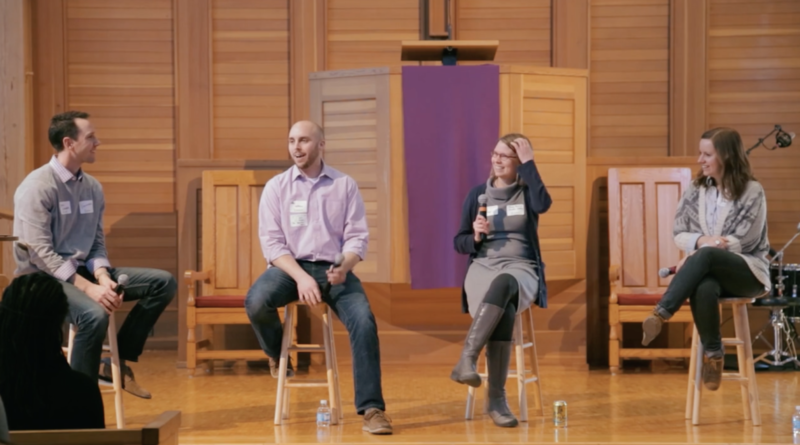 When Colonial Church did a second round of Innové, they recognized they had a new asset that could be offered to the social entrepreneur community: the experience of their first round social entrepreneurs. These first round winners now had two years of hands-on experience, all having successfully launched and scaled their social venture. And they were very eager to give back to the social entrepreneur community by sharing their newly found wisdom with the round two applicants. A lot can be gleaned from this panel discussion, from the role of the church in the applicants’ lives to the value that comes from the mentoring relationships. But it’s over 40 minutes of content, so each the topics are timestamped below. If you want to jump to a specific question, simply click the time stamp. 3:45 – What was the best thing you experienced going through the Innové process? 6:20 – What was the worst part of the Innové process? 9:20 – How does the incubation process work? 10:15 – What sort of relationship did winners develop with Colonial? 12:45 – How baked was your idea when you applied for Innové? How long did it take to get up and running? 17:45 – How did the idea of Innové get started? Why do mission this way? What is Colonial’s ongoing connection with winning organizations? 23:10 – What percentage of your post-Innové work has been dedicated to fund-raising? 25:35 – What did you focus on in the weeks leading up to the pitch? What are some tips for the pitch? 31:00 – What strings are attached to winning the money? Why do you keep coming back? 35:00 – What were the exact awards? What are the hopes of the judges? 37:15 – Did you enter the competition solo or as a team?